Universal Pictures and Blumhouse Productions have released a brand new trailer for Happy Death Day 2U to help ring in the new year. As is often the case in Hollywood, but especially when it comes to horror, if something is successful, there will inevitably be a sequel. Such is the case here. But this doesn’t look like the average rehash of the same idea with some different characters to kill off. This looks like it could be one of the most wild and off-the-rails sequels coming our way this year. It’s reasonably clear at this point that Blumhouse wants the reveals to remain for when audiences are actually watching Happy Death Day 2U for themselves, as this trailer, much like its predecessor, focuses on the very general premise, which sees Tree (Jessica Rothe) once again trapped in a deadly time loop. Only this time around, she’s got to save the ones she’s closest to as well, and not just be concerned with her own well being. It’s also been made clear in both trailers that they are adding an extra layer or two of crazy this time around. That shot of Tree jumping out of an airplane, for example, leads us to believe this entry is going to be much larger in scope. 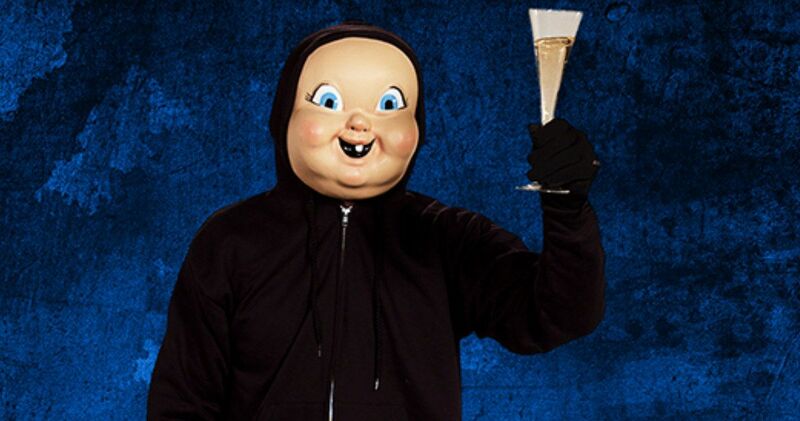 The first Happy Death Day managed to surprise by being a clever and, within the confines of such a premise, relatively straightforward slasher flick version of Groundhog Day. This looks like it’s going to go for broke and be a bit more like Edge of Tomorrow, but instead of Tom Cruise fighting aliens it’s college kids trying to stop a mysterious murderer. Jessica Rothe is once again joined on screen by her co-star Israel Broussard. Christopher Landon, who wrote and directed the first entry, returns to helm the sequel as well. So, at the very least, we’ll have a good deal of consistency. Blumhouse has had a ridiculous amount of success turning their low-budget horror offerings into huge hits at the box office. And, more often than not, those hits become franchises. The first Happy Death Day grossed $122 million worldwide working from a relatively tiny $4.8 million production budget. As such, the studio made very quick work in getting a sequel off the ground. Blumhouse sequels vary wildly, as far as quality goes, so it’s tough to predict how this is going to actually shake out. But money talks and when something is this successful, there’s no reason not to press forward with more. Let’s just hope this is more than just a cash grab and that it can live up to its totally bonkers premise. Happy Death Day 2U hits theaters on February 14. So if you’re still in need of Valentine’s Day plans, this should do just fine. Be sure to check out the new trailer from the Universal Pictures YouTube channel below.